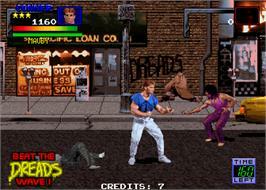 Guardians of the 'Hood (1992) - Arcade. The biggest source for manuals, videos, music and artwork. 30,914 videos. 3,820 music files. 11,207 manuals. 5,636 game adverts. 822 TV commercials. 126 systems.